Friends of Wonder Valley: The piano is tuned! A Wonder Valley resident donated the money to have the piano tuned, and we did just that. 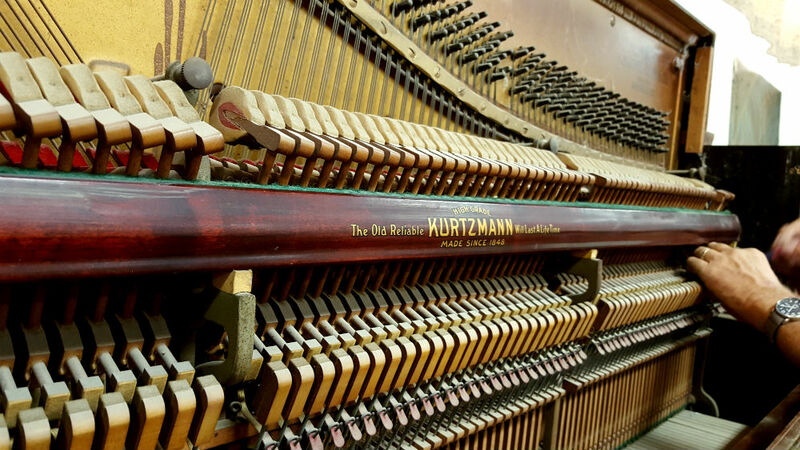 Our Kurtzmann piano was built sometime between 1918 and 1922. Two hammer had fallen off. The tuner retrieved them, refelted them, and then tuned the piano. Alicia Beatty, the new French intern at The Palms, came in the other day and played it for us. It was wonderful hearing the Wonder Valley Community Center filled with beautiful music. Many thanks to the resident who made this possible, through the Friends of Wonder Valley.